The severe pain that you went through during the animal bite injury might have faded, but the emotional part has not gone away. You may be scared to return to the place where the attack happened or even scared to leave your home. 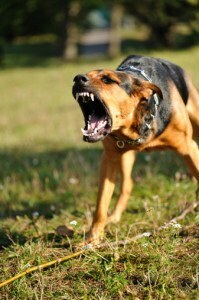 Dog attacks are terrifying experiences to endure. 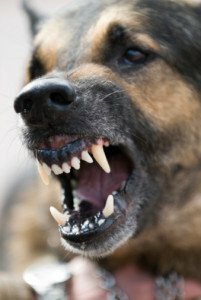 When you have found the courage to hold the responsible parties for the incident accountable, you might start to think about filing an animal attack lawsuit with the help of a Chicago dog bite lawyer. CALL US NOW AT 312-372-7250 – OR CONTACT US HERE – THERE’S NEVER A CHARGE UNTIL WE WIN! Illinois state law requires that dogs be kept on a leash when outside of the home. Most of the time, pet owners obey this rule and there are no problems. Other owners refuse to abide by state law and let their dogs roam free. Normally, nothing happens. In your situation, something did. You were terribly injured. If this is the case, it may be time to think about filing a lawsuit with the help of the team at Kurasch & Klein. The attack might have caused severe disfigurement or damage to the area you were bit, leaving you unable to care for yourself or return to work. Contact a Chicago dog bite lawyer to start your fight for justice. Your injuries may require years of intensive physical and emotional care. Filing a lawsuit is a way to ensure that your needs will be taken care of as long as necessary. When you are seeking justice for your injury, a dog bite lawyer from Kurasch & Klein can help. It takes a lot of courage to stand up to the people who put you in this position. At our firm, we stand by our clients in their times of need to help them seek justice for their injuries. During this difficult time, we prioritize your needs before our own to show you that we are on your side. Kurasch & Klein are your Chicago personal injury lawyers who are here to help you pursue compensation. When you feel like justice is not being served, contact us immediately. We will fight tirelessly with you from the start until the finish of your case.